Life Time Fitness Summer Camps – Metro Detroit Life Time Fitness centers offers full and half-day summer day camps for kids ages 4-12 that include fun weekly themes, field trips, and healthy living. Camps focus daily on healthy eating and physical activity, community connections, STEAM, character development, games & challenges, and more. Some of the full day camp themes include Dinosaur Dynamics, Pajama Party, Glitter and Slime, Secret Agents & Escape Rooms and more. Most full-day camps include rock climbing and swimming as part of their daily activities. 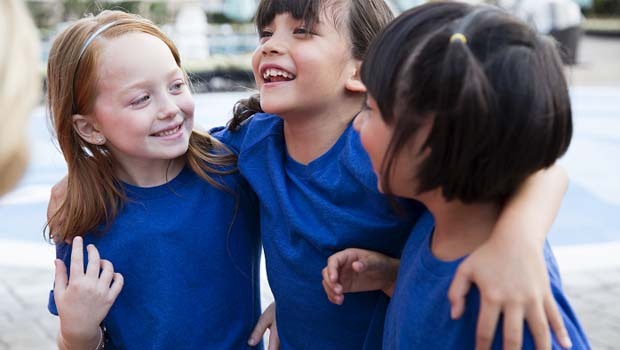 Life Time’s specialty camp options differ from club to club but include themes such as Boys and Girls Camps, Gymnastics Camp, KidUp/Tween Camp, Rock Climbing/Swim Camp, Martial Arts Camp, Dance Camp and others. Summer camps begin June 10, 2019 and tun through August 30. Before-care and after-care is available from 7a-6p. “Express Drop-Off” is available daily. Prices vary from location to location. Weekly and daily camp rates are available. Field trip prices are always included in the weekly rates. Early registration is recommended. Sign up for Life Time Fitness Camps today by contacting a location below. For more info on Life Time Fitness Summer Camps, visit www.lifetime.life.